Our cookery book written by Flora Pell. Flora was born in Melbourne in 1874. At the age of fifteen she worked as a probationary teacher, then passing her exams became a cooking instructor in Cookery schools throughout Geelong, Bendigo and Carlton in Victoria. In 1916, Our Cookery Book was first published in Melbourne. By this time Flora had been teaching cookery for over 25 years and felt the need for a text book to replace the old school system of cookery cards. Unfortunately we’re unable to share any of the recipes for copyright reasons. 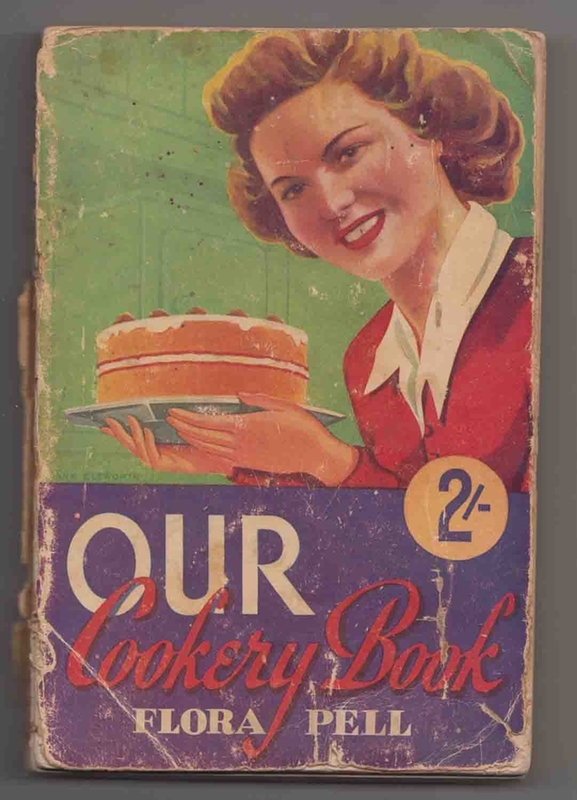 To read more about the turbulent history of ” Our Cookery Book” and Ms Flora Pell you’ll find a link below to an interesting article written by Alison Wishart ; curator at the National Museum of Australia. This entry was posted in historical photographs and tagged Flora Pell, Our Cookery book, vintage cookery books, vintage receipe books. Bookmark the permalink.